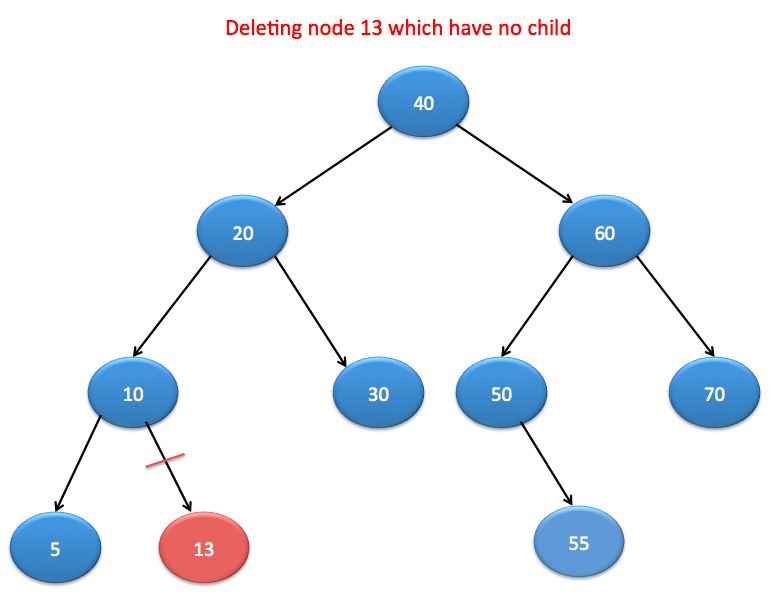 In this post, we will see how to delete a node from binary search tree. After searching that node, delete the node. There are three cases which we may need to consider while deleting a node from binary search tree. If node has two children. It is pretty straight forward case. We need to search the node and make it null. If node have one children then we need to connect parent of removed node directly to child of the removed node. It is complicated case. If it has two nodes, we need to connect parent of node to the leftmost node(minimum) of right sub tree or rightmost node(maximum) of left subtree. As you can see, we are replacing node 40 with node 50. 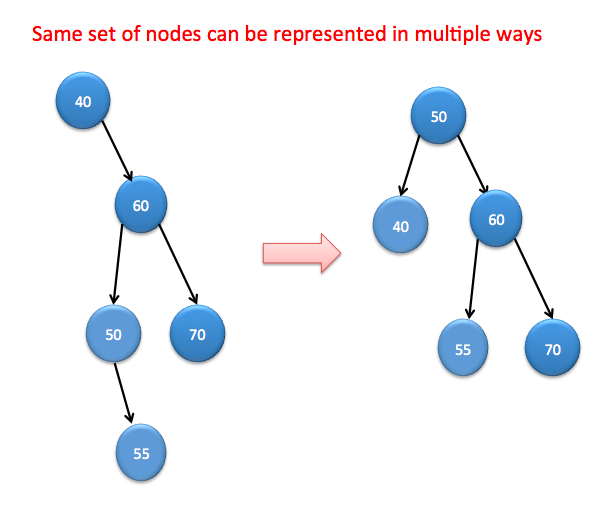 Node 50 is minimum element in right subtree of 40 and deleting node 50 after moving as there will duplicate nodes. Why minimum element of right sub tree? Here we are using binary search tree property that tree can be represented in multiple ways. 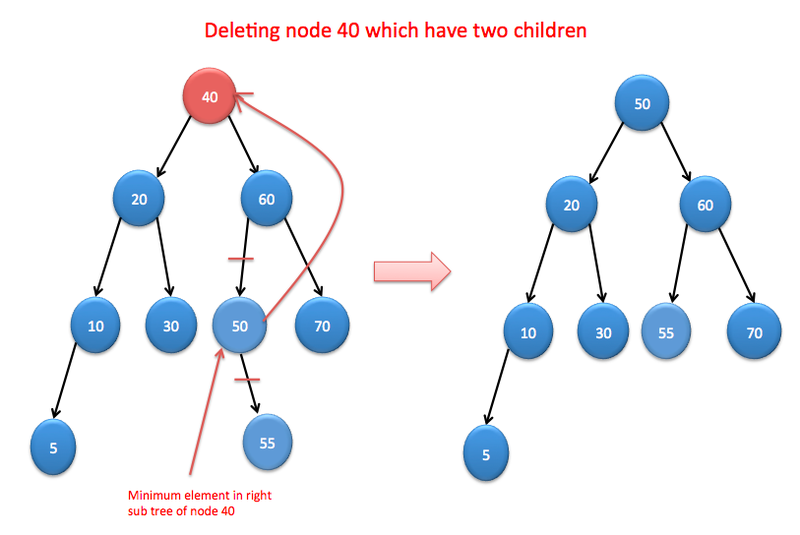 We are using same property while deleting nodes with two children. Thank you very much Arpit, very nice, clean and understandable code for newbies! Thank you very much for nice explanation. There is a small correction to deletion code. The above statement should be assigned to root.right, else the duplicate node won’t be removed.